Figure 1. 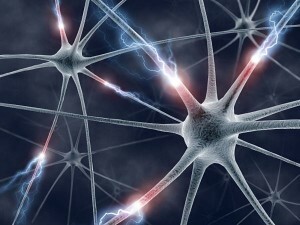 Learning increases brain neuroplasticity as new neurons form and old ones die. For over a century, researchers have pondered the question of how the brain intakes, processes, and retains new information. Researcher Elisabeth Wenger and her team at the Max Plank Institute for Human Development in Berlin, Germany probed deeper into this process by examining the volumetric changes in human grey matter and linking them to the process of skill acquisition in humans. The volumetric changes in the brain include the processes of expansion and renormalization. In Wegner’s seven-week study, fifteen right-handed participants were taught how to draw and write with their left hands while their brain’s growth and shrinkage was monitored via multiple MRIs. After four weeks, the grey matter in the motor cortices, the brain region responsible for controlling movement, of the participants was observed to have expanded approximately 2-3% in size. In the following three weeks, the sizes of the motor cortices renormalized. The expansion noted during the first month was attributed to a the growth of new cells that contained the information on how to perform the novel task. Subsequently, it was proposed that the renormalization occurred to isolate the cells deemed effective in carrying the new information, eliminating the remainders. These conclusions were futher supported by the participants as the majority was still proficient in the tasks they learned, even after the removal of some new cells.